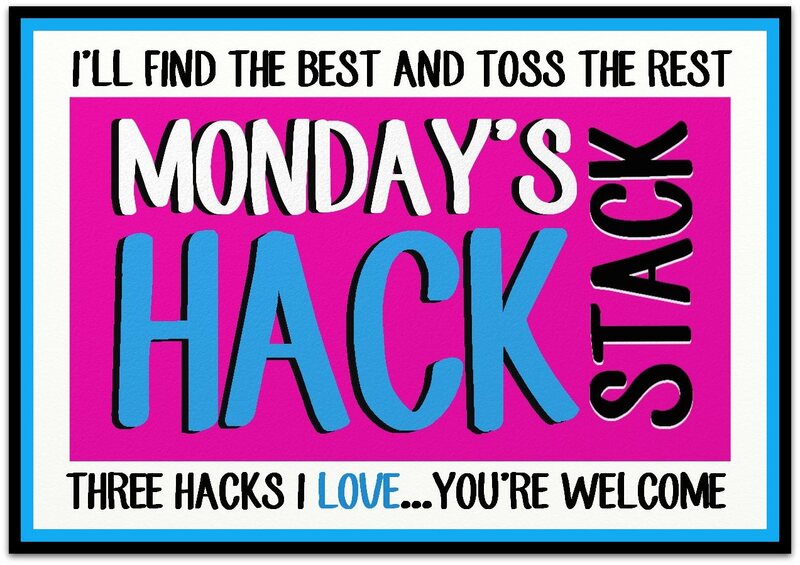 Cherdo on the Flipside: Monday Hack Stack: Drop Cable! Okay, young whippersnappers, let's look at something useful for my movie loving, cable-abandoning friends. Some people don't want to get Netflix (hey, it's a free country...perhaps more so for you than the Netflix and Amazon Prime subscribers). Where are the free movies and shows online? Crackle boasts that they have over 300 movies. If that is what you crave, go for it. My suggestion, however, is to skip the movie tonight and watch Comedians in Cars Getting Coffee with Jerry Seinfeld. When you think movies - do you consider YouTube? Seriously, there's a whole untapped mega-hoard of movies, clips, shows, etc. YouTube has a dedicated channel for full length movies, good and bad (Langoliers, anyone?). The free stuff on Hulu is limited, but worthwhile if you live in the US or Canada. Subscriptions are reasonable, if you're so inclined. 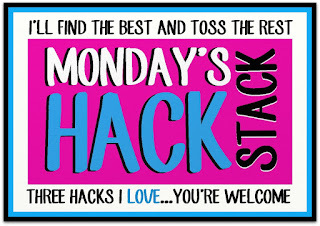 If you think you might want to subscribe, you can take a test run with a free week. Here's the best idea of all for those who want to disengage from cable once and for all: the library is still open, I swear. No lines, peeps. We have Netflix and also Prime by default (our son). There is just too much stuff to watch. Let alone the 41 over the air stations we have now. I got tired of the ever increasing price of cable - without improved service. Can Downton Abbey be found for free on Hulu? Not sure of that one...we caught it on Netflix. This is how you can tell how you're dated: when you watch Married With Children after all these years and realize that Al Bundy isn't a loser; he's actually living the dream. He has a hot wife, a nice house, and a stable job. I haven't had cable in years. Between Netflix and sites like Crackle/Hulu I'm more than set. Eat it, cable, and your awful 600 channel packages where only 10-15 are actually channels I want to watch. The actor who plays Al Bundy is from my home town - he used to be a social studies teacher at Ursuline High School and played football for Youngstown State University. We have Netflix but the UK library isn't as big. Still its big enough. We also have Sky and their library is pretty good too. Coincidentally, my favorite thing to do with Netflix is watch BBC programs, ha ha. Books are an excellent option, and you won't be electrocuted if you stop one while reading in the bath. Make that 'DROP' one, darn it! I hate doing thngs on my SmartPhone. Ha ha - I can't type on those darn things, either. And it autofills the world "you" with "thou." My friends think I'm Amish. Yessum, I've been using these sources. While it's frustrating to keep searching for a favorite movie or series and never finding it, I have learned to appreciate all that is offered. There's plenty. Crackle is where I found the wonderful two part Beach Boys movie about which I have been raving - The Beach Boys: An American Family. If you like NBC's Aquarius you need to see that Beach Boys movie because Charlie Manson rears his ugly head. Ever since we moved to our new residence a few months ago, Mrs. Shady and I have completely changed our viewing habits. We never watch the local network TV stations and never watch anything in real time. We get all of our programming from Apple TV including NetFlix, Hulu, Crackle, PBS, History, Smithsonian and many more, I also watch my favorite old horror and sci-fi movies on YouTube. So many choices...so little time. Man, I didn't get to look at this all day and now I feel like I am so late to the party that I need to just call it a day. I saw that Beach Boys movie when it was on TV and it IS GREAT. I feel like it's pretty darn close to the truth, unlike many other bio type shows. Regular TV is nearly impossible to watch now. I hate all the commercial interruptions. It makes me feel like I have ADD. I admit I watch a lot on Hulu. Everyone, even Alex J. Cavanaugh, needs a vice. It seems as if my hubs and I are living in the dark ages . We don't subscribe to Netflix, Hulu, or any other internet source. We like to pay for cable and have tons of stations we would never use. I don't think our TV is compatible either even if we were to get one of those fancy high faluttin packages. Netflix I use at my sea and yeah youtube has a lot too. Cable I haven't had in years and never will again, big FAT waste of money. We are on the same page, Pat. Get a TV with the built in apps and WiFi and you're ready to go. Haven't yet gotten into hulu, but do love technology in general. We are getting a "smart" TV soon. My TV is the only smart thing in the living room. Hey, I'm sitting on the metaphoric couch right next to you. I'm going to check Crackle out. I was so frustrated today...I was trying to watch Mike & Molly and I have a CBS All-Access Pass for the summer because of Big Brother. Even with that pass, I can only watch the first few and last few episodes of the most recent season. Nobody watches TV like that anymore! Crackle is great - but the main thing I love is the Jerry Seinfeld show. I watch many things through Amazon Prime. Those ideas were great. Thanks! I love what's available from Amazon Prime. My b.f. has Netflix streaming. I have Netflix and Amazon Prime. I keep my Netflix because I have four hundred movies in my queue. I can't give up that queue. I keep Amazon Prime because I get stuff delivered in two days for free. And because the Wooters man pays for it. Maybe I will let the prime go.I was kidding about him paying for it, but he really is very generous. I sent you a she-mail. I am dropping all but the basic so I can still get the news, might even drop that later. Tried to watch something on my 500 channels and found nothing to watch. Plus I hate (not a word I try to use) COMCAST THE WORST CABLE EVER. I dislike giving them my hard earned money for shoddy service, Their internet is awful. We have to fix it just about every month. Where I live they are the only cable company. You Tube, Drama Fever, Crunchyroll (there are more) have Japanese, Korean and Hong Kong TV and Movies that I like to watch. You Tube is fantastic! Except for that video of me and a monkey during my colonoscopy. That I could do without.